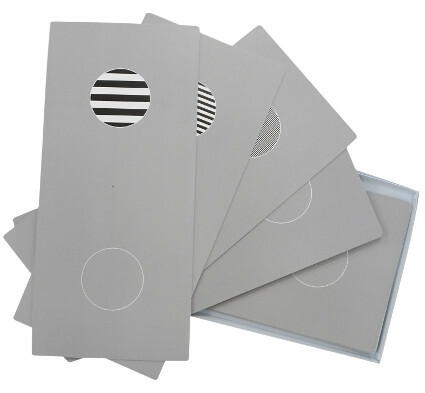 The Gratings Acuity cards form a Teller-type gratings preferential looking test which provides a visual acuity assessment from as young as six weeks. 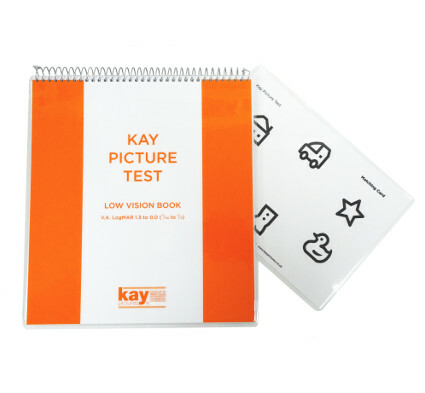 It comprises 17 Log-scaled acuity cards plus one blank card, each with a central peep hole for observing the eye movements. You may also like the Cardiff Acuity Test.